Volunteer with your State and National TR associations! Join ATRA! Sorry about the blurry image – my old school digital camera is going out. 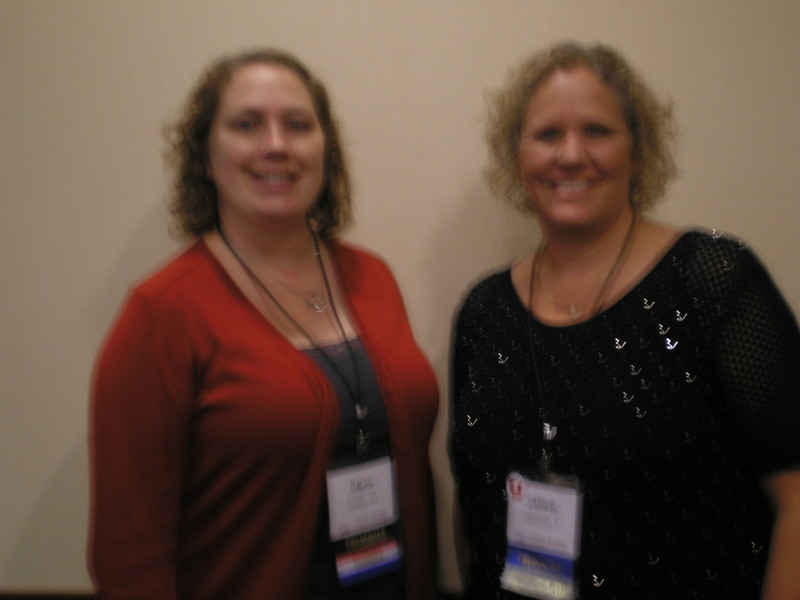 Karen Bone, CTRS (left in picture above) and Debbie Tiger (M.S., CTRS) (right in picture above) co-presented on “Benefits of involvement in state and national therapeutic recreation organizations” on Sun. 9/11/16 (10:00 a.m.) at the American Therapeutic Recreation Association annual conference in Chicago. I had the opportunity to attend this session! There were very few people in attendance, which I felt discouraging. I think more people need involved in our associations. Those who did attend were already highly involved in their state and national organizations. The speakers were both president-elect for their state associations. They played an inspirational TED talk on volunteering by Tuan Nguyen , which gave me some great ideas. He argues that giving back and volunteering is a great way to reach your professional goals. Who else wants to those benefits? Danny Pettry comments: There are two ways you volunteer for your profession. These are : time and money. You can give money to your professional association (membership) and other special causes (buy membership for a student or intern). Donate your time by writing articles, serving on the board, assisting with a conference. The speakers had completed research through the listserv and contacting associations to get feedback from members. Network and meet with other professionals. Here is a link where you can join ATRA if you haven’t done so already. Disclaimers and other notices: I [Danny Pettry] am a lifetime member of ATRA. I’m not hired or paid by the organization. I do volunteer my money (membership) and my time (presenting articles, participating on special committees (public policy and TR month), reviewing Peg Connolly student application essays, write articles for the newsletter, going to the hill to talk to lawmakers in my state about rec therapy. I don’t get paid to do those things. I do it because I love my profession and I want to make a difference. Although my own state, West Virginia disbanded their state branch of ATRA, I am still involved in personally setting up a state conference every two years for recreational therapists in the West Virginia, Ohio, and Kentucky tristate area.